The Paw Brothers 7.5 inch Coarse/Fine Black Pearl combs look as great as they work. 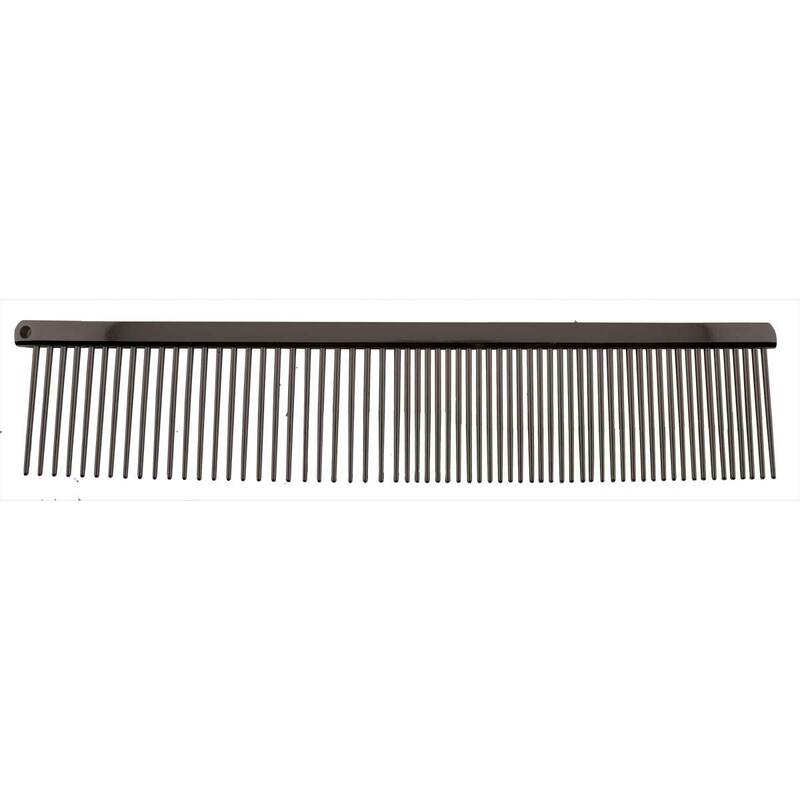 This greyhound style comb is made from carbon steel with 25 coarse/38 fine teeth. Also, available in Purple and Orange.